If you’re a fan of ABC’s long-running medical drama Grey’s Anatomy, then there’s almost no doubt that you want more of Meredith, Callie, Jackson and the rest of the gang at Seattle Grace Mercy West. Well, we’ve got good news for you; Grey’s Anatomy has just been renewed, along with Scandal, How to Get Away With Murder and eight other shows. A report from TVLine says that Grey’s Anatomy was renewed today for Season 13. While many of TV’s top shows are crime procedurals, Grey’s has carved out a nice niche for itself as a medical show with some serious soap opera elements. The combination has been intriguing enough for audiences to help keep the show around for a whopping 12 seasons filled with wild ups, downs, ins, outs and the occasional dramatic in-between. Grey’s Anatomy focuses on Dr. Meredith Grey and her fellow doctors at Seattle Grace Mercy West hospital. The show has mastered the art of merging intense drama, like a bomb detonating in the halls or a madman running amok and shooting doctors and patients, light-hearted moments, complicated interpersonal relationships and heart-tugging (or just plain odd) medical cases. But, it’s fair to say that many fans would rate the love lives of the characters as one of the main reasons why they stay loyal to the show (McDreamy, anyone?). The show was a hit with critics from the first season, with different outlets calling the drama a “winner,” that was “one of the best TV shows around.” That first season was listed on five critics Top 10 lists. The first four seasons all ranked in the top 10 among all viewers, with the second season getting an amazing average of over 19 million viewers an episode. The overall highest rated episode aired in the second season, right after Super Bowl XL, and netted more than 38 million viewers. Grey’s Anatomy is also the show that set off creator/producer extraordinaire Shonda Rhimes’ hold over ABC’s Thursday night lineup. Scandal (which will be heading into Season 6) and How to Get Away With Murder (renewed for Season 3) are Shonda Rhimes’ other runaway hits for the network. Both shows specialize in the same type of high-stakes drama that has often known to get characters locked in deep holes underground or even killed. Each drama is also a lot like Grey’s Anatomy in that personal relationships are often the key to much of the drama. 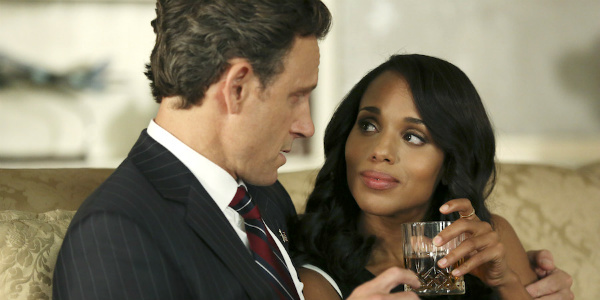 Scandal has, especially, managed to put those relationships front and center. Grey’s Anatomy is already one of the longest running medical dramas on television, and if the success keeps going at this rate, it could easily carry ABC’s Thursday night lineup for many years to come.